Once a gorgeous gothic structure, this deteriorating church is an eerie shadow of its former self. To add to the strange atmosphere, abandoned toys, religious objects, and cryptic graffiti are strewn about. 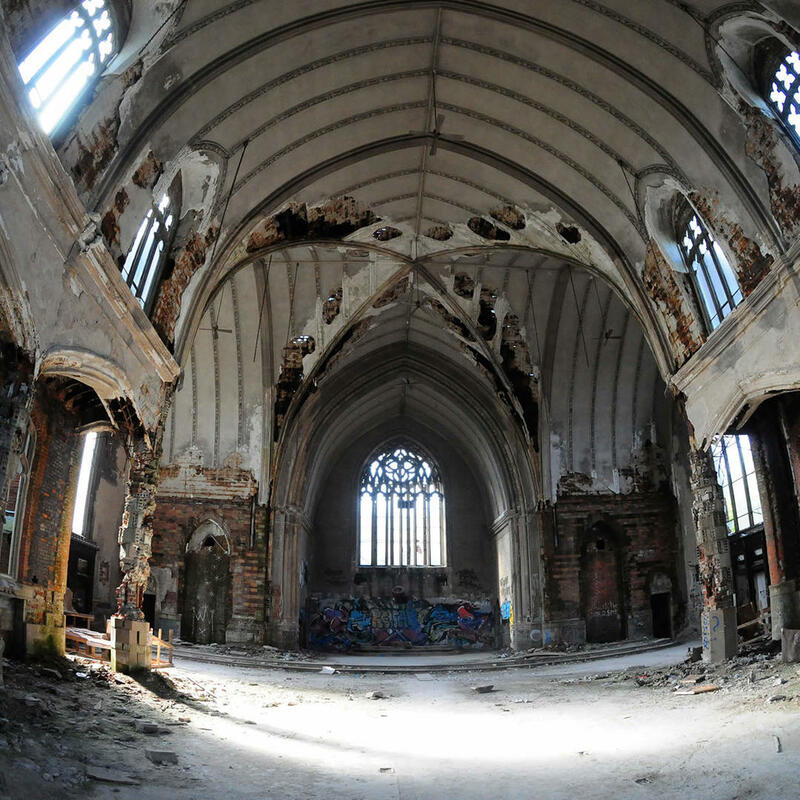 The abandoned church was a victim of the 1967 riots. While the church itself came out unscathed the parishioner numbers fell drastically and it finally closed in the late '80s.